The Murphy Law Group has been involved in all aspects of real estate law. Our North Andover real estate lawyers have been involved in various litigations involving real estate disputes. Further, The Murphy Law Group has been involved in representing both sellers and buyers of real estate. Are you looking to purchase property in the Boston area? 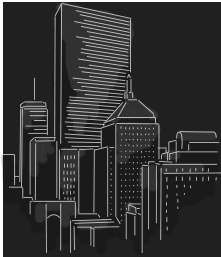 Before you buy, it’s essential that you seek the advice and assistance from a Boston Commercial Real Estate Lawyer that has familiarity and experience in the area. A commercial transaction can involve large sums of money and the potential for litigation for both parties. When a commercial transaction takes place, the courts expect everyone involved to understand the contract details. With a complex transaction of this nature, let a Boston real estate lawyer provide the advice you need to make the purchase go smoothly and to help close the deal. This article will discuss how a real estate attorney can assist you in your commercial property transaction. Representing Buyers and Sellers in Commercial Real Estate Disputes. The Murphy Law Group has decades of experience with commercial real estate law. 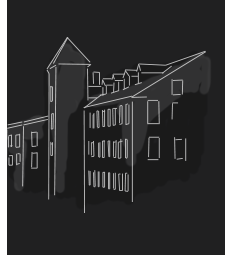 We have facilitated many commercial real estate transactions in our years practicing in Boston and the Merrimack Valley. The Murphy Law Group is experienced with real estate disputes in both residential and commercial real estate. With expert knowledge of lease negotiations, condominium law, zoning, easements, and other common sources of real estate disputes, we can help resolve your issue quickly and satisfactorily. Commercial real estate law governs retail spaces, office buildings, vacant property slated for development, and any other spaces that are to be used for commercial use. Commercial real estate law relies heavily on the use of contracts, which frequently require the services of an attorney. In most commercial real estate transactions, it is ideal and often required for both parties (buyer and seller) to have their own legal counsel for the process. A North Andover real estate lawyer is able to help with real estate law disputes in two ways. The first is preventing disputes before they happen, and the second is by resolving disputes when they do happen. The best way to prevent a real estate dispute from ever happening is to ensure that the entire transaction is put into writing by an attorney who is knowledgeable in real estate drafting. Having your commercial real estate transaction reviewed by an attorney before closing drastically reduces the likelihood that a dispute will arise in the future. Contact a North Andover real estate lawyer at Murphy Law Group today to learn more about how we can help you meet your real estate goals and resolve disputes satisfactorily.